I'm thinking about a MONKEY theme. We call T "Monkey" or "Monk-Monk" all the time. 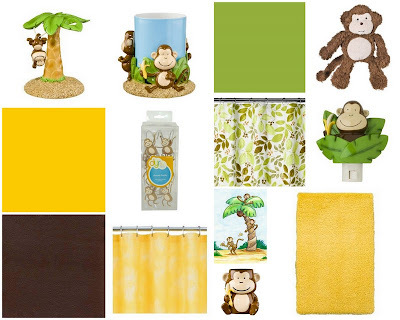 I think it would be very fitting for him to have a monkey bathroom. Tristan's bathroom right now has no theme. It's very plain, boring, & un-inviting. When we move to our new home, I will have a nice bathroom for him. One that is all the things I have listed above. how fun! 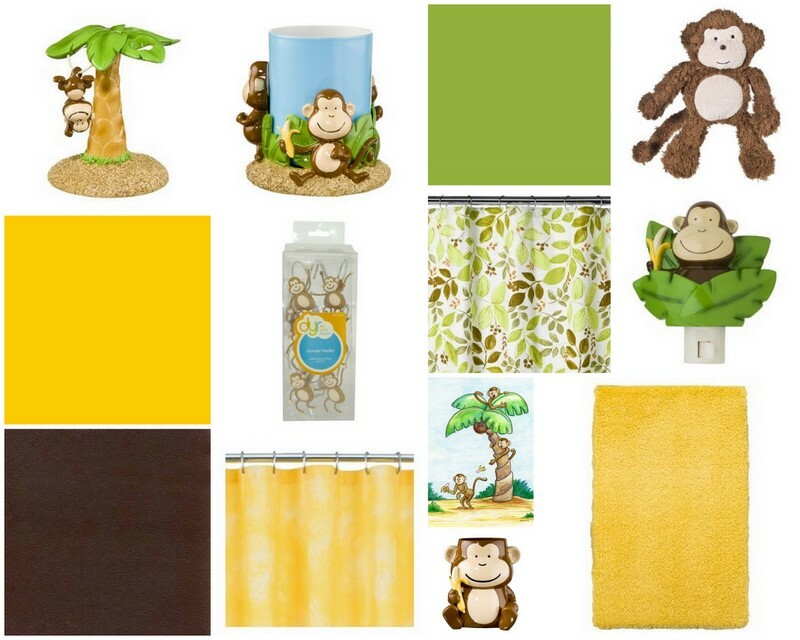 it looks like it will be a whole lot like Hunter's safari bathroom - i goto everything on target on clearance for $50... that's $50 for the ENTIRE bathroom decor - paint too! yay! have fun decorating! I LOVE monkey stuff! This is so adorable. And it even works for grown ups, too! I think that's a great idea! I love it!